This is the image created for SyndCon 2014. It has a bit of the Lord of the Rings feel to it. 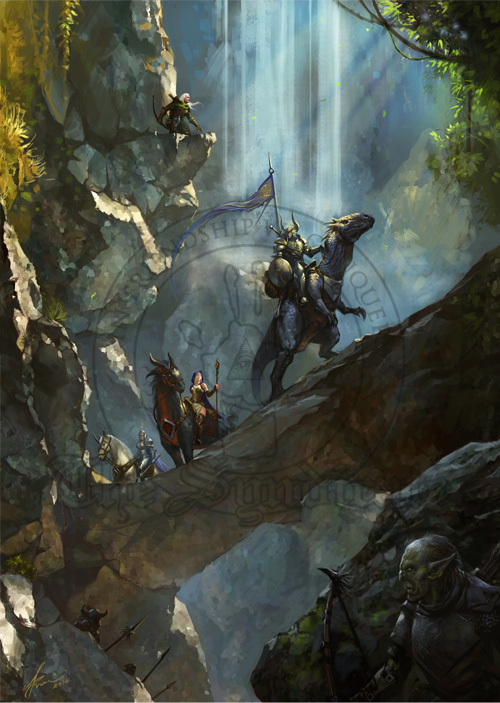 It shows a Syndicate patrol that is about to be ambushed by orcs.